Could you introduce yourself and your role at the Legion? My name is Gene Reed. I’m the Past President – immediate Past President – of Branch 486 in Bronte, General Chris Vokes branch. I’ve been president several times, but I think this is my last role as past president. I was born 6th of May 1940. 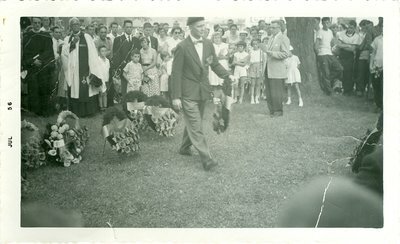 My dad worked for Eaton’s and we lived on Yonge Street until dad joined the Army in the Second World War. We moved to Bronte in 1942 and lived on Belyea Street until dad came home from service. Through the DVA, he acquired four acres on the west side of Bronte. There I lived and went to school at Bronte Public School on Lakeshore, which is now Centriller School. Could you explain the purpose of the Bronte Legion for those who may not be familiar with the work of Legions in Canada? The purpose of the Legion is to look after vets. It’s an ex-military organization. We look after vets that are in need, that need help such as canes and motor scooters and crutches and whatever else they need. Household items for the bathtub and stuff like that. We look after that. The money raised from the Poppy Campaign is used for that stuff. I can’t reiterate enough that the Legion still does help veterans and their families and they have bursaries and such for their children, their grandchildren, and now, even great-grandchildren. The Legion still plays a great role in the community, helping other people too, that nobody knows about. 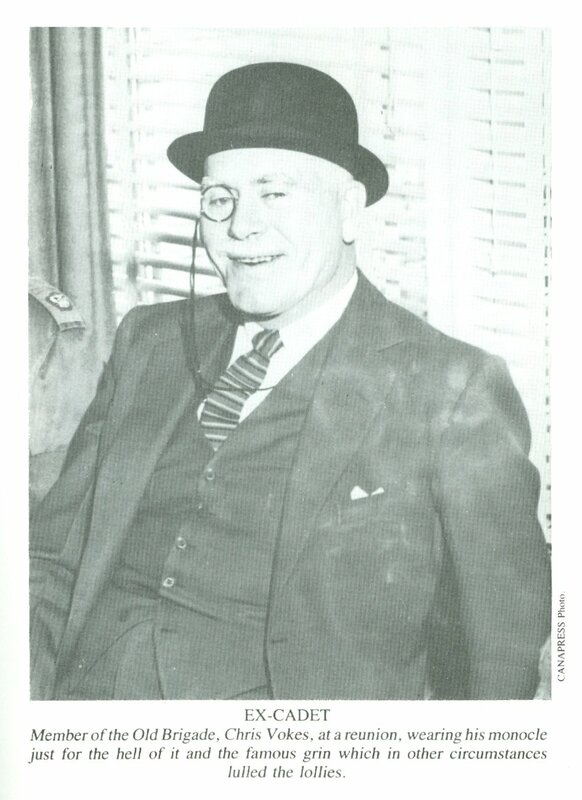 Your father, Cliff Reed, was President of the Bronte Legion from 1956 to 1957. What do you remember about his role with the Legion? 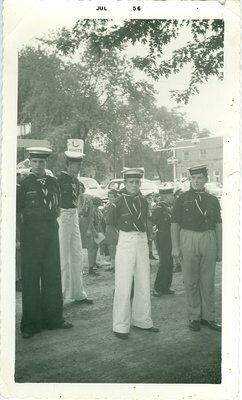 At the time, there was no Bronte Legion and when my dad came home from the service he joined the Oakville Legion, which was Branch 114 downtown. It’s now moved up on Upper Middle Road. He and a bunch of veterans from Bronte, they sort of got together and they had meetings at each other’s house and I believe there was 12 or 15 of them. They proceeded to get the charter for the branch here and they used to meet at the hall down by where the cenotaph is today. How was the Bronte Legion first established? Those people on the Charter were the people that met every week at each other’s house and that was in 1948. I was only 8 years old at that time and I remember my dad – the phone never stopped ringing – and he was phoning Veteran Affairs and Central Command to obtain the Charter. They ended up getting property from the Town at the ballpark at the east end of Bronte there and they commenced building a Legion over there. And they ran out of money, so the Village of Bronte had the town offices in the old house that is now in our present parking lot. That house [belonged to] Bronte fishermen and the Town bought that. So they traded the property for the soccer club, where they were building a Legion at the east end of Bronte. What is the story about the missing war memorial plaque? 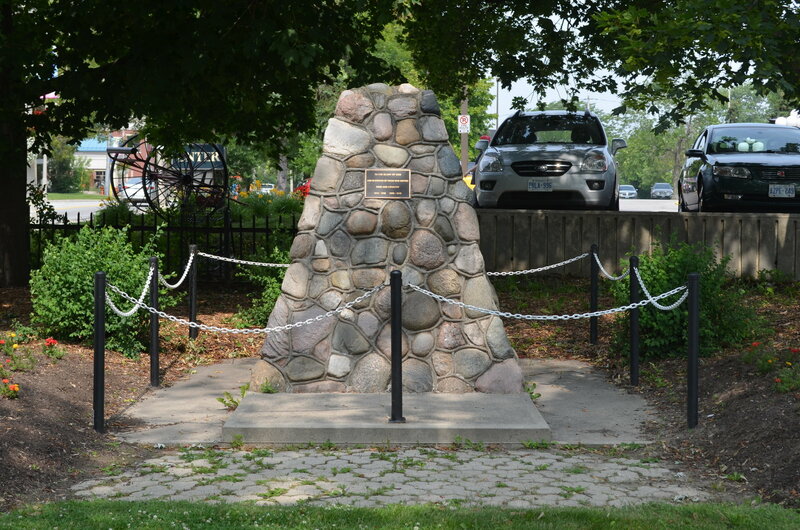 The cenotaph at the corner of Bronte Road and Lakeshore was built by the Breeman brothers, who lived in Bronte on Bellyea Street. They built that memorial and put the plaque in it. It was dedicated I think in 1968, I can’t remember the date. Over the years, the cenotaph had been vandalized and somebody had ripped the plaque out of it, signifying why it was there. Three or four years later, we refurbished the cenotaph and put a new plaque in. Three or four years after that, I came into the branch and there was a UPS delivery man in the branch. As soon as I came in, the fellas that were downstairs said “There’s Gene. He’ll know what that plaque is.” As soon as I saw it I said that’s the old plaque from the cenotaph. The service in the last few years – at the cenotaph we have a parade and it’s just gotten nothing but bigger and bigger. Lots of school kids and all the cadet organizations. November 11th is a big day for the Legion, probably our most important chairmanship in the Legion is the Poppy Chairman, along with the Membership Chairman. The whole executive does a heck of a job on keeping the place afloat. What are some of the Legion's weekly events? We have our Fish Fry on Friday nights, upstairs in the Hall. And that’s open to everybody who wants to come in. I must say it is very good and they have chicken nuggets for kids. And we have shrimp and that stuff. It is slowly catching on. We have karaoke on Friday nights and it’s quite a success. The cadets use the hall, Monday and Wednesday there’s line dancing upstairs, Tammy – our resident line dance teacher – teaches on Monday and Wednesday. That’s quite successful too. Our membership, there were 20-25 of us, and we all put in I think $2000 or $2500 to build this place and that’s where the funds came from. And everyone that put money into it, got that back with no interest, but everybody was paid back their money. And that’s the present building we’re in. The Legion is named after General Chris Vokes. Your father served with him in Italy and you got to know him over the years. What was he like? Chris Vokes was a very fine gentleman. We would get him a bottle of scotch and he would take the top off the bottle and nobody left until that bottle was gone. And it was drank with no mix. The thing I remember about General Vokes was he never sat in center of the room, he always sat with his back to the wall. My dad was in Italy with him and he was a very fine gentleman. I’ve been to his house and driven him around a bit and I think we still have his Army boxes in the club here somewhere, with all his military memorabilia in it. I think all Second World War vets would know what that wooden box is if they saw it. His name is on it. 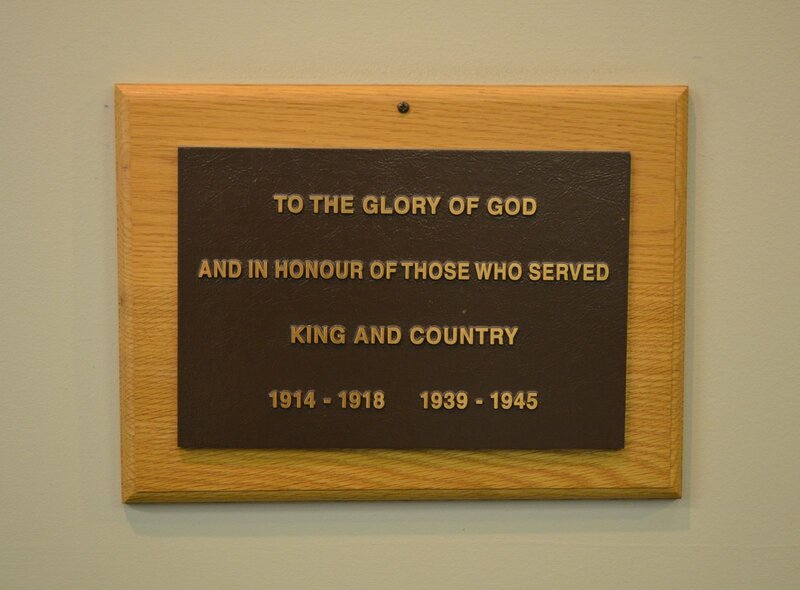 The hall is given weekly to the Air Cadets and the Army Cadets and the Navy Cadets used to, now they have their own hall up at Queen Elizabeth. We do a lot of service in the community that a lot of people don’t know about. And that’s the nature of the club, and I think that’s the nature of all service clubs. They do a lot of stuff and nobody really knows. What does the Legion do on Remembrance Day and leading up to it? A week and a half before the Poppy Campaign starts we have a list of veterans that go out and sell poppies. All the schools in our area are looked after. They all have poppies and we have veterans that go to schools and give talks on what their life was like in the military and what it has done for Canada. Then on Remembrance Day, Oakville always has their Remembrance Day parade on November 11th, and ours is always the Sunday before the 11th. The reason being there’s only so many pipe bands around and we just made an agreement with Oakville that we would do this so that we wouldn’t be robbing each other from pipe bands and taking people away from the service. I said where did you get this and he said, “A UPS driver found it on the back porch of a house on MacDonald Road in Oakville.” I said well that plaque was ripped out of the memorial years ago. So we have that plaque downstairs, it’s mounted on the wall in the Club Room. I just thought, how did that get to MacDonald Road and a UPS salesman would take it. 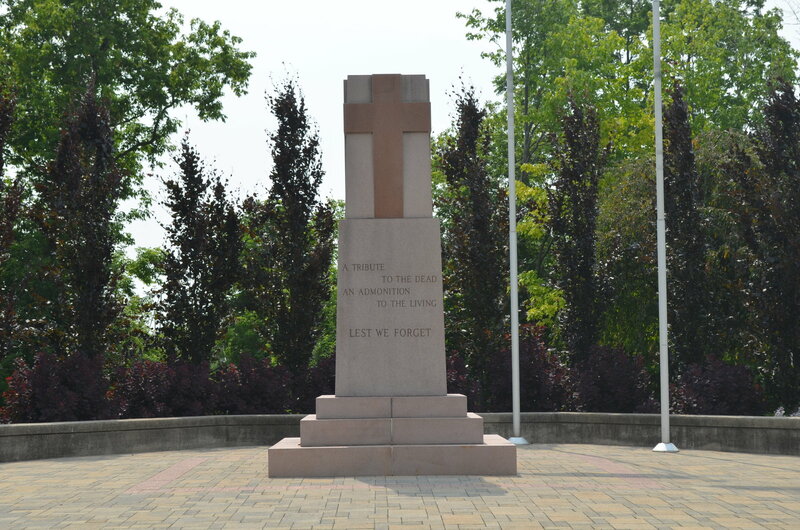 We did have a service when we refurbished it, and it was the Breeman brothers that repaired that cenotaph too. It’s quite a story. 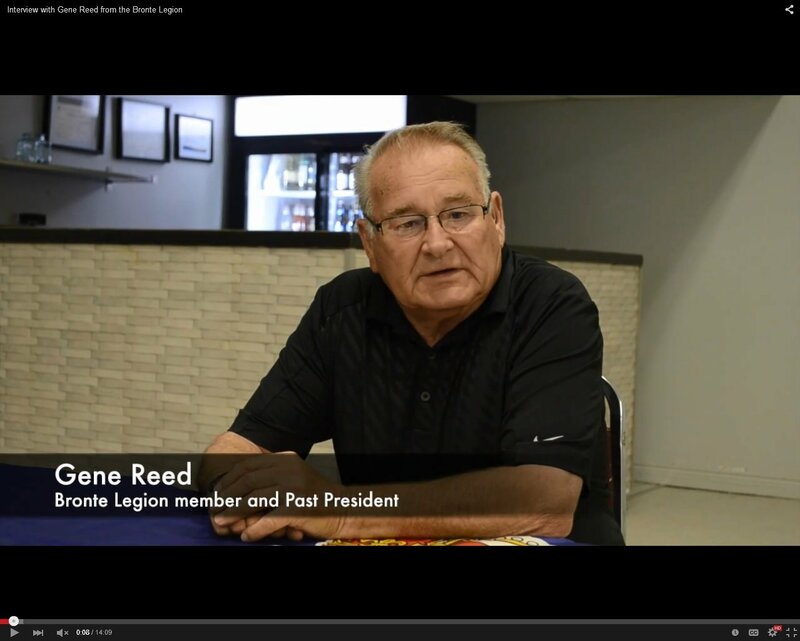 The Legion has had a long history of service to the community, can you talk about some of the ways the Legion has supported local families? At Christmas time, we have food vouchers for needy families. Years ago, there was a family whose home was burned on Mississauga Road. We rebuilt that house in 4 days. The house was flattened, and the Legion rebuilt that house in 4 days. People that have had fires, we put them up in hotels and they are looked after until such times as their insurance or whatever. And not necessarily veterans, it could be anybody.